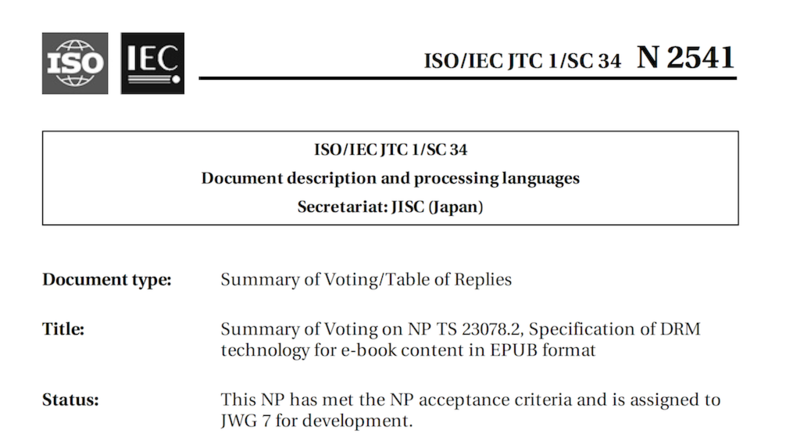 We received some days ago a good news: the NWIP (New Work Item Proposal) relative to the international standardization of an EPUB DRM, which was proposed as a new standardization project to ISO / IEC JTC1 / SC34, was agreed on Aug. 30th. 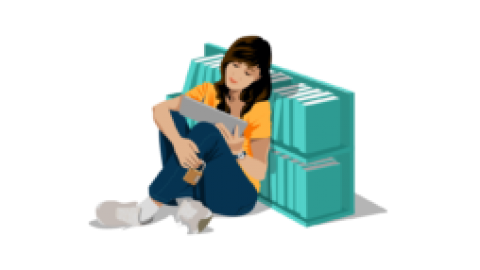 The goal of this Digital Rights Management solution is to standardize an open and secure technology, low cost, user friendly and compatible with archival needs. This standardized solution will be especially useful worldwide for e-lending in public libraries. USA, UK, China, Republic of Korea, Japan, Lebanon, Russia have all voted yes (France is not part of this SC34 Committee). 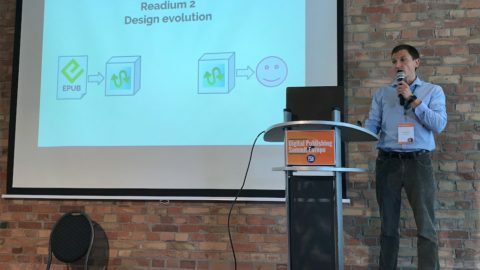 The draft submitted to the ISO members is clearly based on Readium LCP; the USA representative, George Kerscher, has formally insisted that the future standard must be “a standardization of the existing LCP”. Experts nominated by ISO members will develop this international standard for the next three years. 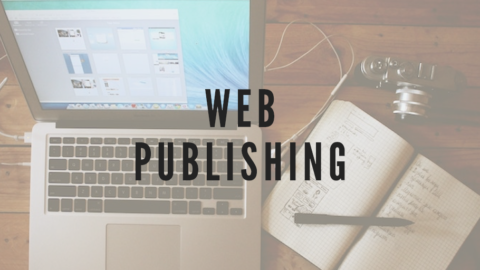 EDRLab will partner on the project with DRM Inside(Republic of Korea), the writer of the ISO NWIP and LCP Licensee from the first day. In parallel, EDRLab is launching a Working Group focusing on short terms evolutions of LCP: PDF support; management of LCP profile updates; out-of-band acquisition of a passphrase for users already authenticated on a server; DRM solution for web browsers compatible with LCP.